To most people it is important to save time, and finding time for regular dental appointments. It is essential for people to maintain their teeth, as it has a massive impact on a persons appearance. Lumineer treatment allows porcelain veneer treatment faster than the average porcelain veneer treatment, so it can be completed within one appointment. Once Lumineers are created, they are securely fitted straight onto the front of a patients teeth, to conceal and cover damaged, broken or discoloured teeth. There are two main types of veneers that can be placed over the top of damaged or discoloured teeth to restore the cosmetic appearance of a smile. Composite veneers are made of a resin and are made in laboratory or even constructed in the mouth during an appointment. The other type of veneer is made entirely from porcelain and is cemented over the top of teeth using dental bonding. Although composite veneers are cheaper, they do not look nearly as realistic as a porcelain veneer which are specially designed to resemble tooth enamel. Composite veneers are more suitable for individual teeth that are damaged or for repairing small cracks or chips. When it comes to replacing a whole dental arc that has been damaged by staining or discolouration there really is only one option. Also, as technology advances, new tools are being developed to speed up the manufacturing process of porcelain veneers and with technology such as digital x-rays and Cerec, it is now possible to sculpt veneers from a single piece of porcelain in a matter of minutes. Other modern porcelain veneers are incredibly thin, some the same width as a contact lens, which can be fitted over the teeth with no enamel removal and can be completely removed themselves should the need arise. They are in fact so thin that they can fit over existing veneers and other dental repair work. As well as completely restoring the appearance of damaged teeth, porcelain veneers also play an important protective role. 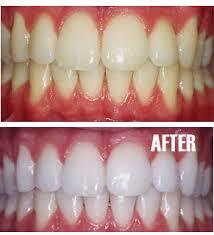 Acting as a second layer of enamel they protect the teeth from decay adding another important barrier to tooth decay. Call 177-645-0704 for a free consultation at Goma Dental Clinic in Shimla.